Customers never enjoy receiving the dreaded news that the product they purchased or are thinking about purchasing is on backorder. The assignment of reorder points and regular reviews of inventory level reports are two strategies that can help a retailer prevent backorders and the frustration that comes along. However, no company is immune to backorders. It’s important to know how to communicate backorders to customers and respond to customers who have ordered a product that is out of stock. Here are some tips to help keep a positive customer experience during these situations. Communicate to customers on the front end by noting the backorder on your website. Even better, include an expected ship date if you have that information available. If a customer has already made a purchase before the backorder update was communicated, the customer deserves a timely notification that a purchased product is currently out of stock. As soon as you receive news of the backordered product, reach out to customers by phone and/or by e-mail to notify them. Whenever possible, provide customers with an estimated shipping date and let customers know that you will be providing them with regular updates on the status of their backorders. Sometimes customers are unaware that a similar product is in stock and available for immediate shipment. Before contacting a customer with news about a backorder, gather information and photos of any similar products to present to the customer. While some customers may not wish to pursue this option, most customers will be grateful that you have taken the time to identify an alternative option. In some cases, a backordered product is one of a collection of several items that a customer has ordered. In these cases, you can offer the customer the option of proceeding with the shipment of the items in stock and shipping the backordered items upon their arrival. Most clients in the United States are receptive to this option, though overseas clients may prefer to wait until all items can ship together to prevent additional importation fees. Regular communication with your customers is often the key to their continued business with your company. Even if the news is an additional delay, it is critical that you follow up with your customers and keep them informed. 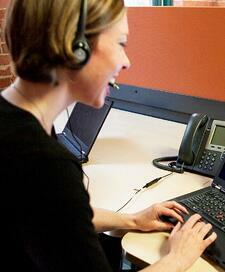 Communication with your customers will help to solidify their trust in your customer service and your organization. Please contact us to learn how we can help you beat backorder frustration and keep your customers happy with our inventory management and reporting tools. We look forward to hearing from you!